Saudi Arabia’s rulers have asked the US to help them expand the oil-rich kingdom’s nuclear program to include uranium enrichment, a move that experts warn is not to be taken lightly considering the Riyadh regime’s never-ending thirst for political and military dominance in the Middle East region. When US President Donald Trump chose Saudi Arabia instead of Israel as the first destination on his debut Middle East tour last year, the common consensus was that Riyadh enjoyed a special place on the new American administration’s agenda. During the trip in May, Trump secured a $110 billion deal to provide Saudis with advanced weapons. The news rattled even Israeli leaders who thought the Tel Aviv regime would lose its self-proclaimed military superiority in the region as a result. The biggest outcome of the trip, however, was yet to come. Barely a month later, Saudi King Salman ousted his nephew, Crown Prince Mohammed bin Nayef, as next-in-line to the throne and replaced him with his then-31-year-old son, Mohammed bin Salman (MBS). Trump apparently took joy in the move and projected it as a victory for himself. “We put our man on top,” is what he said in reaction to MBS’ rise to power, according to the controversial book Fire and Fury: Inside the Trump White House. With the young, ambitious prince on top, Saudi soon developed an appetite for change in various areas, including nuclear. Having already signed an agreement with the US in 2008 for a “civilian” nuclear program, the Riyadh regime now wanted more. There are reports that US Energy Secretary Rick Perry and Saudi Energy Minister Khalid al-Falih are slated to meet in the British capital London to discuss a possible expansion of the current nuclear agreements that would allow Riyadh enrich uranium and extract plutonium while giving American companies the chance to build nuclear reactors in the kingdom. A report says the US is set to resume talks with Saudi Arabia to secure a lucrative deal for the construction of nuclear reactors in the kingdom. Financially, the deal is assumed to be lucrative enough to match the money-driven politics of Trump, a businessman-turned-politician who is not afraid of overstepping boundaries for a few more dollars. Giving Riyadh the green light to enrich uranium is like “playing with fire,” according to Victor Gilinsky, who served on the US Nuclear Regulatory Commission, and Henry Sokolski, the executive director of the Nonproliferation Policy Education Center. In an article that the pair have co-authored for the Foreign Policy magazine, Gilinsky and Sokolski warn that Saudi Arabia is in fact eyeing a nuclear weapons program and if anything, its past and present behavior serves as a clear indicator. Saudi Arabia is essentially the financier of Pakistan’s nuclear program. When in the 1970s, the Saudi royals headed to Pakistan for the second Organization of Islamic Conference (OIC) in Lahor, they were warned by Pakistani officials that India and Israel had already taken major steps towards procuring nuclear weapons. Saudi Arabia could be taking the first step to diversify its power supply by launching a tender for nuclear power plants next month, according to a new report. In 1998, then Pakistani Prime Minister Nawaz Sharif thanked Saudi rulers for their support and informed them before ordering his country’s first ever successful nuclear tests codenamed Chagai-I and Chagai-II. A few years after Pakistan’s weapons program began, Saudis started to secretly procure long-range missiles that were already capable of delivering nuclear payloads. “In the 1980s, they bought long-range DF-3 ‘East Wind’ missiles from China — missiles that are designed to carry nuclear weapons — without informing the United States,” wrote Gilinsky and Sokolski. They purchased newer Chinese missiles in the following years and eventually designated the Royal Saudi Strategic Missile Force as one of the five branches of the Royal Saudi Arabian Armed Forces, the article further claims. According to the authors, such emphasis on long-range missiles would not make any sense in the absence of nuclear warheads. Elsewhere in their article, Gilinsky and Sokolski warn that the Saudi regime is currently is in an unstable state. “An absolutist monarchy that represses minorities, chops off heads of political opponents, and lacks a codified system of law is out of step with 21st-century reality,” the article reads. The Wahhabist brand of Islam that Saudi rulers have long based their regime on is inspiring “many of the world’s most violent terrorists,” the authors further argue. 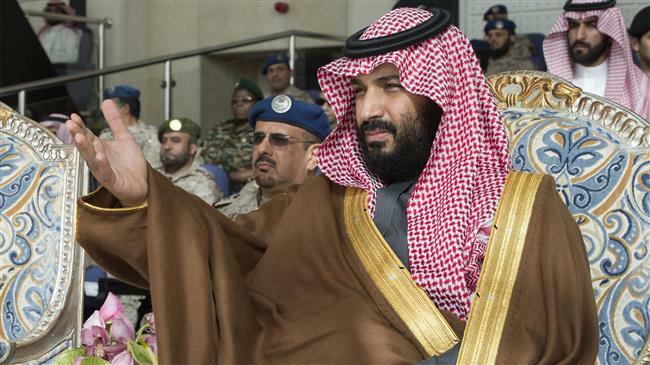 The new crown prince’s “extremely poor judgment” on Iran and other important matters like the ongoing Saudi war on Yemen would also contribute to this “shaky foundation” that the Saudi regime is based on, they warned.